Send your heart's warmest wishes to a family member or friend who has just experienced a loss with a fruit and flower basket. 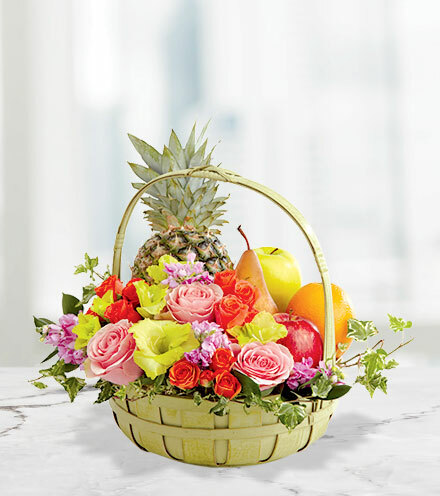 Pink roses and stock, orange spray roses, green gladiolus, variegated ivy, and lush greens are arranged with fresh fruit inside of a green basket. This fresh and beautiful bouquet is perfect for sending someone your love during a painful time of grief and loss.